When you think running shoes, you think about Nike. And when you think Nike, you worry about the money you'll have to shell out for a half-decent pair of sneakers. Now, thanks to the Nike Lunarglide 9, you won't have to. This running shoe is the latest in the line of Nike's Lunarglide series, and it may just be the one you've been looking for. Read on to find out if they're right for you. We care about how we look in our shoes, and the Lunarglide 9 seems to deliver. The shoe looks almost identical to last year's Lunarglide 8, but more refined. There's a single-piece knit on the outside for a more collective look, and the Nike Flywire cords have been redesigned. 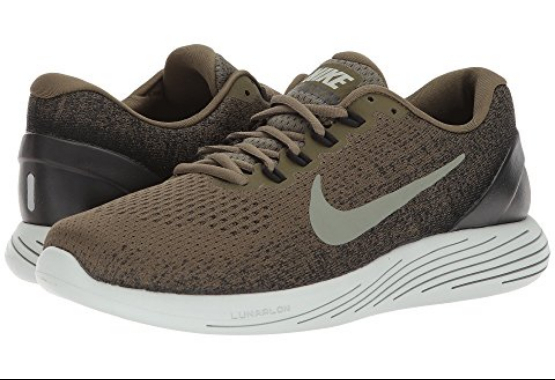 The Lunarglide 9 also has thicker cords hidden between the upper and inner sleeve, so the lacework gives off a sophisticated and yet athletic appeal. The patterns of the sole are laser printed, and they're identical to the Lunarglide 8. There's also a reflector on the heel, so night running is safer. All in all, the look of the shoe is pretty close to the Lunarglide 8, but minor adjustments show that Nike has made sure to put a new spin on things. No one wants a shoe that doesn't fit their feet. Thankfully, these sneakers make sure you're taken care of. The room around the toes area is spacious, yet there's a gentle but firm grip on the sides to keep your feet from sliding around. In fact, the entire shoe fits like this along the sides to create a very form-fitting sneaker. 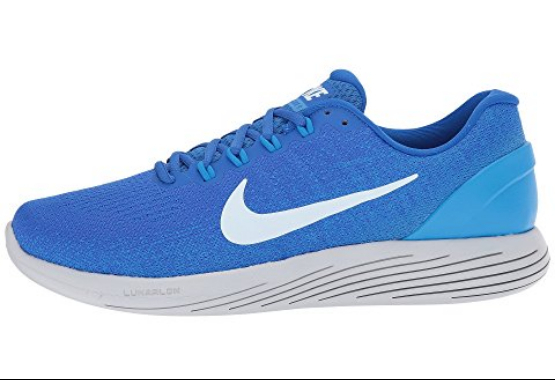 The Lunarglide 9's upper area rises slightly higher on the sides than the Lunarglide 8, which may mean something to you depending on how you like your shoe to fit; otherwise, they make for a perfect fit. This part is obviously the most important thing, and the Nike Lunarglide 9 holds its own. This shoe is made for light use, so a light exercise routine is where it shines. The grooves on the sole help to make your daily run comfortable with every stride by adding flexibility and structure that wasn't present in the Lunarglide 8. Finally, softness is improved in the Lunarglide 9, though they're still a bit firmer than some runners may like. If you're one of those runners, there's good news: there are ways to fix this problem so you can have a more comfortable stride. We would say that the Nike Lunarglide 9 is a pretty nice upgrade to the Lunarglide 8. The shoe definitely looks good for everyday wear, while being good for simple jogs in the park and maybe even a half-marathon or two. All in all, you get a great pair of sneakers for a low price. Want More Out of Your Shoes? Overall, the Nike Lunarglide 9 is pretty solid for the price. But why not make them better by customizing them to your needs? Check out our site for running tips and to see how we can help you make your best pair of running shoes EVEN BETTER!